This little publication of barely 140 pages is an absolute gem of a book. As an introduction to the Kelly story I can’t think of a better one to recommend, but I can certainly think of worse ones. This book, released 27 years ago is streets ahead of the rubbish that was produced just last year by Brad Webb ( Ned Kelly: Iron Outlaw) and by Jack Peterson ( An Introduction..) For anyone trying to decide which book to get to start their collection, this is the one to go for, and not just because you can get it on ebay for a lot less than the other two. The other two are Kelly propaganda, biased and distorted accounts of the Kelly story that promote fake news about Ned Kelly, his family and the police. This book, by contrast is remarkably even handed, but comprehensive and I think a balanced person reading it will come away not just with a good understanding of the basic story, but also an appreciation of the complexity of it. “The court list is ominously long for a family of good intentions and sober habits. 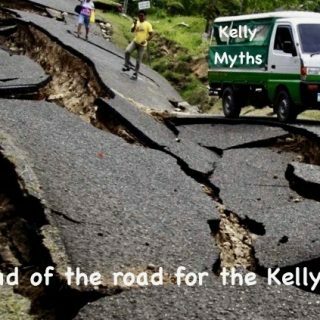 It must invite speculation about ‘the Kellys’ as hardworking selectors. But it must also cast doubts on the impartiality of the Police”. Like many Kelly books of recent years do, Graham Jones begins this book with a kind of apology for adding further to “the already sagging shelves of Kellyana”. He declares it was his intent to put the outbreak into ‘cultural and historical’ perspective, and to ‘place the outbreak within the wider uprising of youth against society which occurred in Victoria in the 1870’s’. 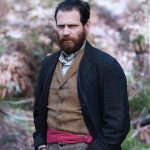 Jones thesis is that the Kelly story is primarily ‘the story of the rise and fall of a gang of youthful larrikins, who achieved notoriety throughout Australia in the latter part of the 1870’s as the Kelly Gang’. His view is somewhat akin to the view of McQuilton (The Kelly Outbreak) published 3 years earlier, that Kelly was a ‘social bandit’, which is to say, a product of the environment and the social circumstances of the time, who became a symbol to societies victims. McQuiltons view was in turn, in sharp contrast to the earlier published works of Molony (Ned Kelly 1980) and Brown ( Australian Son 1948) who lionised Ned Kelly and his exploits as a romantic rebel. 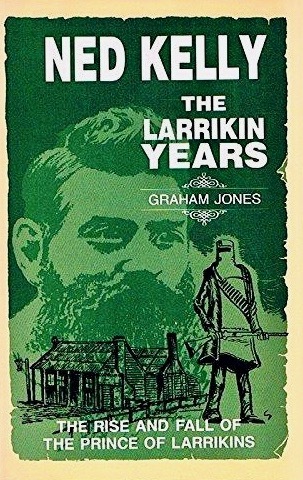 Ian Jones ( ‘A short Life’ 1995 and no relation ) turned back from Graham Jones view of the larrikin towards Browns and Molonys view, that he was a hero, indeed a politically motivated revolutionary. The beauty of this book however, in my view is that Graham Jones makes very little direct attempt to persuade the reader of his particular perspective. There is a limited discussion of what was understood at the time by ‘larrikinism’ and its origins and effects, and of some of the communitys attitudes and responses to it, but essentially what Jones does here is let the story speak for itself. However, unfortunately Jones provides almost nothing in terms of references and bibliography, my main disappointment. This remarkable little book thus consists mostly of a surprisingly thorough account of the entire Kelly story, beginning with the arrival in 1848 of Red Kelly in Port Phillip Bay, through the Ah Fook incident, Harry Power and all the usual landmarks to Ned Kelly’s trial and execution, ending with a brief mention of the Royal commission and the aftermath of the outbreak. There is plenty of factual detail but not so much pejorative commentary, either about the Kelly’s or the Police. There’s even a nice map of Kelly country. 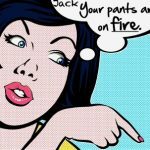 Something I hadn’t read before – but others have apparently – was that when Ellen Kelly’s brother-in-law was convicted of arson – he burned down the house in which Ellen, her two sisters and all their children lived – the sentence of death pronounced on him was a mandatory sentence. Jones makes little comment about this fact, but notes that Judge Redmond Barry, who had no choice other than to pronounce it, commented that it was excessive. He knew from precedents already set that there was no danger of the sentence being carried out, and left it to the executive to show ‘appropriate mercy’. The modern pro-Kelly commentariat ignore these facts entirely, preferring to cite that death sentence as evidence in support of their vilification of the great Judge Redmond Barry as some sort of vindictive and merciless ‘hanging judge’ who was out to get the Kellys. Again, as ever in the Kelly debates, the full facts show a very different truth to the one promoted by the likes of Peterson and Web, and repeated by the ill-informed internet Kelly propagandists who for ever conceal all the inconvenient truths. 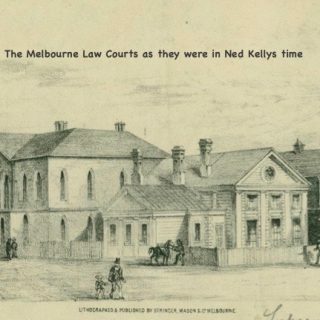 The Larrikin Years finishes with something that no Kelly defender should ever read : its a 25 page appendix, a list of the cases covering the period from the arrival of Ellen Kelly in the north-east in 1867 to Neds preliminary trial at Beechworth in 1880. It is a long, comprehensive and dispassionate catalogue that has no accompanying commentary, no attempt to moralise or patronise or excuse or excoriate any party, but simply presents facts as they were recorded at the time. It is an absolutely devastating read. I found myself shaking my head in astonishment as I turned page after page documenting the interactions between the Kelly clan and the Courts. Facts alone can sometimes make the most powerful arguments. Its one of our faves too, Dee! Unlike Fitzy who thinks if things are not online they don't exist, Graham Jones just went out and found the newspaper references. And you are right Dee, he came up with damning, damaging evidence against the gang without actually saying so himself. Graham Jones had an earlier book, which we also have, but it is rarely used. Best wishes for New Year to everyone here! I added this book to my collection last year, but only got around to reading it last night following your glowing review. At only 140 pages, it is easy to skim through in a night. I agree with you that it is an absolute gem of a book. It’s like a kinder version of Ned Kelly – A Lawless Life, with the author simply presenting the facts and making no judgements. • The case William Barnett (a farmer at Greta) v Tom Lloyd on 18 November 1869, in which Barnett accused Lloyd of interfering with Barnett’s efforts to take cattle belonging to the Lloyds to the pound. The cattle had supposedly trespassed onto Barnett’s land. However under cross-examination it turned out that the land concerned was not his at all, but rather land (including government land) he had simply claimed as his own. I find this interesting as an example of the squatter / selector disputes that many historians have cited as a contributing factor behind the Kelly outbreak. The support the Kelly’s received from some selectors could possibly be attributed to this. (A subsequent court case on 3 February 1872 saw John Lloyd sentenced for wounding and killing a horse belonging to the same William Barnett, so obviously there was a lot of bad blood between these families). • The case Police v Lonigan on 25 August 1875. This case concerned Lonigan’s assault of a drunken prisoner named William Johnson. This is interesting because it shows the police taking action against one of their own and that Lonigan. It also raises questions about the character of Lonigan. Could Lonigan’s treatment of Ned outside the Benalla boot maker’s shop some two years later (18 September 1877) have been a bit excessive? The book is very well written for all the reasons you have yourself noted. I note the book was first published in 1990, some two years before Ian Jones ‘Ned Kelly – A Short Life”. Whilst Ian’s book goes into much greater depth and includes a fair bit of “historical fiction”, the beauty of Graham’s book to my mind is that it simply gives the facts in a very concise manner. It is indeed a good introduction to the Kelly story. I agree it is a pity though that he didn’t include his references. 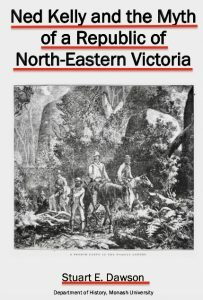 One thing in Graham Jones book that caught my attention is his brief commentary on the idea of the Republic of North Eastern Victoria (at page 104). I find the wording of his first paragraph dealing with this to be a bit ambiguous. That’s where he says it is easy to dismiss the idea that the establishment of the Republic of NE Victoria was part of the agenda of Glenrowan is a bit ambiguous. I am not sure if he means it is easy to dismiss, or whether he is implying it is too easy to dismiss the idea. I think it might be the latter, given that he then goes on to note that the Riverina had been trying for years to break away from NSW to either join Victoria or become a separate colony, and that this would have had a certain attraction to Irish Catholics in Victoria. I’m not suggesting Ned himself was likely to be the head of any “movement” (other than the leader of a gang of “larrikin” outlaws), but it’s likely he was aware of republican sentiments and perhaps latched onto this as a means of justifying some of their actions (e.g. as he did to some extent in the Jerilderie Letter). Perhaps some of the selectors and sympathisers who supported the Gang saw them as some kind of “symbol” of resistance. The Wangaratta Historical Society of which Graham Jones was a member until his death in 2000 still have quite a few copies of this book for sale if anyone is interested. Hi Peter, I am going to be a bit of a sceptic here. If there were people who wanted regional independence, they could have just stared a separation movement like the one in Riverina over the border. All the stuff that has been written about treasonous secret republican meetings is just silly when you have a long-running separation movement down the street (or up the creek). No-one except Molony seems to have made a strong case for Irish influence, but Morrissey showed that he was wrong there about Irish Republican influence, which Morrissey say did not become a factor until after the 1916 risning. Before that, the colonial Irish hoped for a peaceful transition to Home Rule. Don't ask me for details, it's not my area, but Morrissey deals with it. Most of what has been written about Irish republican Kelly rebels is a fairy stories, poor scholarship, and oral history that dates from after 1916, not from colonial Victoria. There is another great little book by Graham Jones, co-authored with Judy Bassett, called “The Kelly Years” (1980). 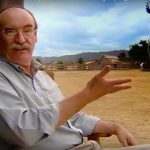 It has lots of Kelly trivia, and a real gem at the end, a 5 page critical review of McQuilton’s 1979 “Kelly Outbreak”, which shows why Hobsbawm’s model of social bandits in pre-industrial peasant societies doesn’t work as an explanation of squatters vs. selectors “class struggle” in colonial Victoria. Trigger warning: Kellyphiles may need a safe space and post-Bassett counselling to recover. (The new generation of university graduates won’t be able to read a newspaper without a crying fit, as every page has something someone doesn’t like.) The “social bandit” model doesn’t work for Kelly country. It was an interesting and legitimate experiment for a PhD thesis, applying a then-fashionable academic theory to Kelly country and seeing how well it worked. No-one knows if a model works until someone tests it out. But after you read Bassett and Jones, you realise that a lot of the social bandit rubbish that been bandied about since then, from McQuilton’s thesis, published as “The Kelly Outbreak: The Geographical Dimension of Social Banditry”, is wrong. Doug Morrissey’s PhD thesis was basically a 300 page examination of McQuilton’s book looking at primary sources, in particular Lands Department records, and showing why the Hobsbawn model doesn’t work for colonial selectors. You can cut to the chase in the “Kelly Years” Appendix 3 review. Essential reading. Thanks Peter. Isn't it remarkable that this great little book has never been discussed before? I couldn't find reviews of it anywhere other than on the IO web page. Your comment about the Republic reminded me that I had planned to mention that reference in my review but then forgot! But I also pondered over what he meant by saying its easy to dismiss then discussing it rather than dismissing it. 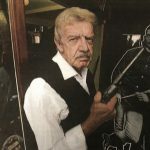 The point about Ned and the republic is that he didn't actually mention it, even at Glenrowan when he made a speech, and as I keep pointing out, he was never short of a word.I think its easy to dismiss because theres nothing to support the idea that Ned Kelly himself ever interested in it. OK Thanks Stuart I will have to get it. I am wondering if we've all been singing the praises of the wrong Mr Jones? Certainly Ian Jones dominated the scene and wasn't all that charitable towards anyone else who tried to get a look in. Aaron Sherritt's niece who died about 20 years ago had nothing nice to say about Graham Jones. He used to write a weekly article in the Wangaratta Chronicle, and she often berated him publicly for saying things about Aaron, and the Kelly Gang that were blatantly untrue. I saw her steaming mad on a number of occasions after yet another Graham Jones misrepresentation of the truth. I've got nothing nice to say about you either, yet another Anonymous fool. Too many timewasters, bankers, and tiresome bores. What part of murdering Police don't those teary wimps on that revolting Hate Site understand? Whatever you do, Dee, don't let that septuagenarian imbecile Bob McGarragiggle post here again. He is even more daft than the chief hater on that god-forsaken FB page. Dee reviewed his terrific book – not his articles in the Wangaratta Chronicle. From my reading of Jones's book, I cannot imagine why Sherritt descendants would be anything but enthusiastic, appreciative and supportive of his labours. You haven't bothered to tell us what alleged misrepresentations you are referring to. You should post on that well-known hate site instead, which loves misrepresentations. Wow!! This page has descended into chaos. Someone posts about an actual person and their opinion of Graham Jones, and look at the tirade. I think that anon was simply saying that from the Sherritt side of the Kelly story Graham Jones was somewhat disliked, and this probably included the writings in the book. It is then suggested by other anon. posters, Blue Moon, and Horrie that the post is linked to Bob McGarrigle and/or some other Facebook page. WRONG!!! Horrie ( prob.Brian Tate)when a person relates something they saw and heard, they don't need to prove anything. You just need to believe it. I love how you all resort to insults, when you either don't get your own way, or someone says something you don't agree with. There are many people who have had direct contact with descendants from the Kelly era, on all sides, (police, Kelly, Sherritt etc,) and when they post things they have heard or been told they are met with ridicule. What a bunch of losers you are. You will never learn the truth so keep reading your books, and disputing everything in them. I would expect nothing less. Well those are pretty harsh claims to make about a dead man, and you didnt bother to supply anything to back them up , which we all know is tiresomely typical of kelly fanciers, so not unreasonably a couple of other posters have expressed their negative reactions to your post which advances the discussion nowhere, because its just unsubstantiated allegation. Ashleigh Broads post wasn't all that helpful either. I am interested in your claim that when people relate things they have seen and heard they dont need to prove it, they just need to be believed. Do you SERIOUSLY believe that? How do you resolve the common experience of witnesses reporting the same event and giving accounts which conflict? They BOTH cannot "just be believed" can they? This goes back to comments on FB by Greg Devlin who didnt seem to be able to imagine there might be reasons to prefer one persons account over anothers. If someone makes a claim, I will 'just believe' that what they said is what they believe, but I won't necessarily accept that what they said is necessarily true. Anonymous, I have talked to several descendants of people from around Greta and Ballarat, and they all say Ned Kelly and his gang were a*holes and Ian Jones is full of *it. From the victims side there are so many lies told by Kelly worshippers no one knows where to start. Keep talking to sympathiser descendants who are making a dollar or two and a little bit of fame boasting about how they are from a famous criminal. When people say anything bad about the Kelly gang people like you all leap to their defence. What a bunch of losers you are. You will never learn the truth and admit that Kelly was a first class a*hole so you keep talking crap. I would expect nothing less. This post is pointless and useless unless you show some writing by Graham Jones and state what you believe to be untrue or misrepresented within it. Simple really. Hamish, where in anything I have written here did I leap to the defence of the Kelly Gang. In fact the stuff said by Graham Jones and said to be incorrect was in regards to Aaron Sherritt. Never mentioned Ned at any time. So the paranoid disciples of Dee get it wrong again. Another interesting thing in Graham Jones' book was his commentary about how some believed the coffins of Steve and Dan were filled with rocks, and that the boys were buried elsewhere. Graham didn't have a view one way or the other about this. I did a post about this back in 2016 (April) that didn't attract a single comment other than from Dee. I have always thought it to be an interesting part of the Kelly story. Its interesting becasue it illustrates how claims that after not much more than a moments thought can be dismissed as complete nonsense , never-the-less manage to hang around and get passed on by people who are thoroughly gullible and uncritical . Less obvious nonsense, which constitutes much of the Kelly mythology, is thus almost impossible to ever eradicate from the discussions about Kelly history. There are still people who refuse to believe the earth is round! Peter Newman, you may be closer to the truth than you think. I was told many years ago where they are buried, and its not in a cemetery! Anonymous I am curious to know how you respond when someone else says Dan was buried at Greta Cemetery. Obviously you cant believe both these claims simultaneously, but you have said that when people tell you things they've seen and heard – such as hearing someone say there were only rocks in Dans coffin – 'you just need to believe it'. So how do you resolve that conflict – one person telling you he was buried in the cemetery another saying he wasn't. I say again: claims made without evidence can be dismissed without evidence. Well Anonymous, would their burial site be in a gully on the east side of the Fueller Range? That's what I was told my someone whose family lived next door to Richard Hart back in the 1930s. I put a fair bit of time into investigating three possible sites. In the end though, I asked myself how could it be that the families have managed to keep knowledge of the site private all these years. I don't think they could have and therefore I'm inclined to believe they are in Greta Cemetery just as Ellen Kelly told Cookson. 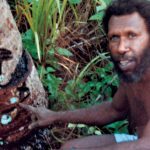 Peter Newman, Dee and others, they are buried on private land. It has been kept private because that is what the families wanted then and want now. And that is all you need to know. I think its near where the UFO landed and Elvis got out to talk to Anonymous. That's fine. I can respect that. Then as now, it is illegal to inter dead people in private ground for obvious health reasons. Why do people stick up for Ned Kelly?